Farewell Georgia Engel. We'll miss you, Georgette! Sad news indeed! Georgia Engel, best known for her portrayal of Georgette Franklin Baxter on The Mary Tyler Moore Show. has passed away. She died on April 12, 2019 in Princeton, New Jersey at the age of 70. 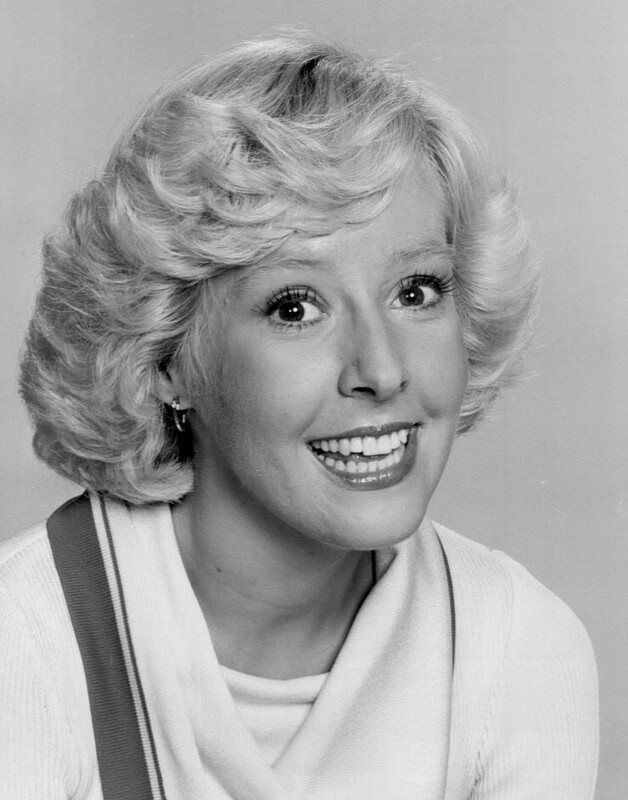 Georgia was a wonderful comedic actress and during her career, she garnered five Primetime Emmy nominations. Her most distinctive characteristic was her soft, gentle, childlike voice, which retired Toronto Star theatre critic Richard Ouzounian likened to that of an angel who has "just sniffed some helium." Her voice was her trademark and when she became angry, it was difficult not to laugh. Georgia Bright Engel was born in Washington, D.C. on July 28, 1948, daughter of Ruth Caroline (née Hendron) and Benjamin Franklin Engel, a Coast Guard Admiral. In 1966, Georgia graduated from high school at the Academy of Washington Ballet in Washington, D.C. She intended to become a ballerina.before deciding on a career as an actress. In her IMDb.com profile, Georgia is quoted as saying the following: : "As a young teenager when I was attending ballet school, my teacher told me I'd never be a ballerina. and I was never much of a singer, but I get leading roles in musical theater because of the comedy. I consider comedy a special gift to me. 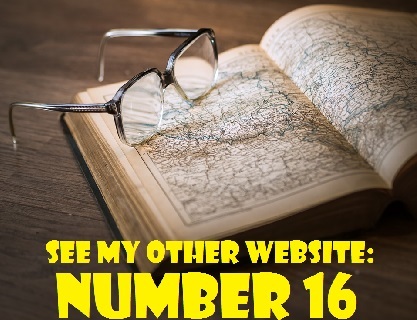 So many people ask if I hate doing similar roles but I try to explain that even within the specialized areas of light comedy and ditzy blondes, there are wonderful nuances that are infinitely interesting to me." After high school, Georgia performed in summer stock and then joined her family in Honolulu, Hawaii. She earned a degree in drama from the University of Hawaii at Manoa in 1969 and then returned to Washington, D.C. where she performed in musical productions with the American Light Opera Company. She later appeared off-Broadway in Lend an Ear and at the age of 22, made her Broadway debut as Minnie Fay in the original Broadway production of Hello Dolly!. In 1971, Mary Tyler Moore and her then-husband, producer Grant Tinker saw Georgia perform when the off-Broadway production of The House of Blue Leaves played in Los Angeles. They were impressed by how funny she was and a few months later, she was summoned to the MTM Studios and asked to play a role created especially for her. She made her mark as the seemingly naive Georgette Franklin, girlfriend and eventual wife of pompous anchorman Ted Baxter (Ted Knight) on Mary's TV show. However, Georgette was not your garden variety stereotypical "dumb blonde." Although often underestimated, she possessed a certain wisdom. "The writers had fun with that," Engel told the San Francisco Examiner in 2017. "She looked like the dumbest one of the group and sometimes they'd have her say the wisest thing." The Mary Tyler Moor Show ran from 1970 until 1977, but Georgia Engel,did not join the cast until the sitcom's third season in 1972. Her "Georgette" character first appeared in an episode entitled "Rhoda Morgestern: Minneapolis to New York" (Season 3, Episode 14, Air Date: December 16, 1972). In the episode, Mary Richards (Mary Tyler Moore) plans a farewell party for her friend Rhoda (Valerie Harper) who has decided to accept a job at Bloomingdale's in New York. Georgette, Rhoda's co-worker, shows up at the party as Ted's new girlfriend. Her interaction with Mary's gruff boss, Lou Grant (Edward Asner) is hilarious. Georgia Engel's role as Georgette was originally intended to be for a single episode of The Mary Tyler Moore Show. In a 2007 interview with the Toronto Star, Georgia provided the following explanation for how she became a regular cast member: "It was only going to be one episode and I was just supposed to have a few lines in a party scene, but they kept giving me more an more to do." The following Monday, she received a potted plant with a note welcoming her to the Mary Tyler Moore family. Georgette had a heart of gold and she made the blustery, buffoonish Ted a better person. My favourite Georgette quote occurred in a scene when Mary asks Georgette if she knows what she is doing by marrying Ted. She replies, "Yes. Somebody has to love him." In other words, Georgette was not so naive that she was unaware of Ted's many flaws, but she was willing to accept him for what he was. She also recognized his better qualities. 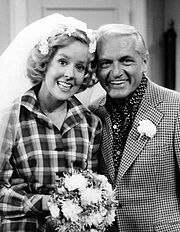 Of co-star Ted Knight, who passed away in 1986, Georgia told the Toronto Star that she "liked him very much, but to tell the honest truth, the writers took a kernel of truth from all of us and then magnified it in our characters. Ted never recovered from (series co-creator) Allan Burns asking him, 'How does it feel to be the country's biggest schmuck?" After The Mary Tyler Moore Show ended in 1977, Georgia Engel had roles in three short-lived series: The Betty White Show (1977-78) along with Betty played who Sue Ann Nivens on The MTM Show, Goodtime Girls (1980) and Jennifer Slept Here (1993-1994). From 1991 until 1997, Georgia portrayed Shirley Burleigh on the hit football-themed comedy Coach. Georgia reprised her role as Georgette for a 1992 episode of the sitcom Hi Honey, I'm Home. In the episode, entitled "Elaine Takes a Wife" (Season 2, Episode 7, Air Date: July 19, 1992), Georgette teaches a motivational course. In 2000, Georgia'mother died and she took a break from acting. She trained to be a careguver in the mission facility part of her church, but found that "my gift was more for changing laughter than bedpans." In 2001, Georgia returned to the stage and toured with I Dream of Jeannie's Barbara Eden in the female version of The Odd Couple. 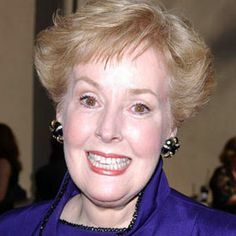 From 2003 to 2005, Georgia played Pat MacDougal, mother-in-law of Robert Barone (Brad Garrett), on Everybody Loves Raymond. Upon learning of Georgia's death, her Raymond co-star Patricia Heaton tweeted "I am in shock. Georgia was an absolute angel - so dear, so sweet, so talented." In more recent years, Georgia Engel worked largely in theatre and lived in New York City. In 2007, however, she appeared as Ezmerialda in six episodes of the soap opera Passions. She also portrayed Irene in three 2012 episodes of The Office. From 2012 to 2016, she had a recurring role on the sitcom Hot in Cleveland, where she was reunited with her Mary Tyler Moore Show co-star Betty White. In fact, she played Mamie Sue Johnson, the best friend of Betty's character, Elka. After Georgia's death, the 97-year-old White posted this tribute to her on Instagram: "Friends forever says it all." 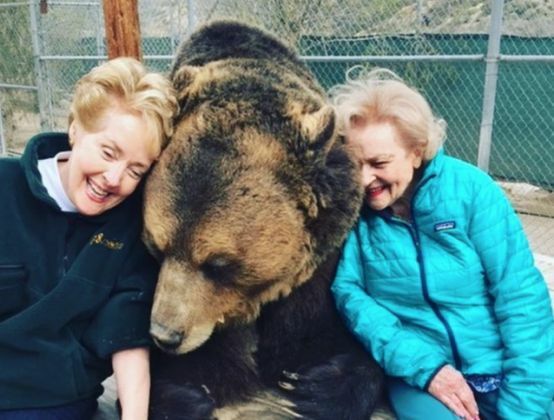 The two women were animal lovers and Betty's tribute to Georgia was accompanied by a photo of the pair snuggling against a bear. Georgia final television credit was a 2018 appearance as Sister Barbara on a an episode of the remake of One Day at a Time entitled "Homecoming" (Season 2, Episode 11, Air Date: January 26, 2018). Georgia Engel never married and did not have any children. She is survived by her two older sisters, Robin Engel (Miss Hawaii of 1967) of Canyon Lake, Texas and Penny Lusk of Cheriton, Virginia, numerous nieces and nephews and two aunts. Georgia was an adherent of Christian Science. Her friend, John Quilty, informed The New York Times that the cause of her death was unknown since, due to her religious beliefs, she did not seek advice from doctors. Her funeral home obituary states that she died of "natural causes." In an Archive of American Television interview, Ed Asner had this to say about Georgia Engel: "She doesn't belong on this Earth. She's too good for this Earth. And in a way, she shows how angels can defy desecration by mankind. Wow! There have been big changes on the since Josh Griffith replaced Mal Young as head writer. Summer has transformed herself into the patient and devoted wife of Kyle. Billy Boy Abbott is about to propose to Princess Victoria and Jack is back in the driver's seat at Jabot. Lily is going to be released from prison and she wants to start a new life without husband Cane. There is a new Dr. Nate Hastings. Two members of the Rosales family are leaving - Arturo and Mia. I won't miss Arturo much, but I will miss Mia's antics. Although she's a pain, she can also be funny and feisty, Deep down, she's vulnerable and insecure. By the way, in a previous edition of Y&R Report, I predicted that Mia would actually be having a baby and that Arturo would be the papa. I wonder if those two will go off into the sunset together. Although it seems as if The Young and the Restless is raiding the cast of General Hospital, Y&R is taking back two actors who left the show for GH - Michelle Stafford (Phyllis) and Greg Rikkart (Kevin) - see "Casting News" below. There is also a rumour that Billy Miller (ex-Billy Abbott) will also return to Y&R. It's just speculation, although and I doubt it will happen. Most viewers have gotten used to Jason Thompson in the role of Billy by now. The show has gotten raunchier since Griffith took over the reins., especially where Nick Newman is concerned. Nick has become downright sleazy. He has all that money and the treasured "Newman" name. Yet, he is very unhappy and empty. His life is shallow. As for his sister, Princess Victoria, she dipped into the sleaze in Las Vegas with rocker Brandon Rose of the up-and-coming band Bloody Thorns (Where did they ever get those names?). What's going on with Victor Newman? Why was he in Las Vegas and why did he pay for the services of a psychiatrist? He urged Nikki to be patient and told her that everything would be revealed in due time. Victor has a history of pulling disappearing acts. This one must be related to Adam. Victor has probably tracked Adam down. That makes sense since Y&R has cast Mark Grossman as the new Adam. Could it be that it's the younger Newman who requires psychiatric help? Has Adam had more facial surgery? He couldn't have escaped the explosion unscathed. Thanks to Traci, we finally know what's wrong with Candy Cane Ashby. The Australian keeps messing up because he has low self-esteem. He doesn't feel he's worthy of Lily, partly because he's the son of a criminal - Colin Atkinson. I'm looking forward to the opening of Devon and Abby's new restaurant. It should be fun. Speaking of Devon, his storyline is becoming more interesting. I can see him in a love triangle with Jett's niece, Elena, and Dr. Nate. Just as Gina Tognoni is leaving the role of Phyllis, her character has reached a low point. Her relationships with Billy and Nick fell apart. She's was ousted as CEO of Jabot by the Abbots. Her attempt to blackmail Jack into letting Lauren take back Fenmore's failed miserably. I spoke to regular Y&R viewer, Helen from Scarborough, Ontario. Helen is astounded at how quickly Victoria Newman became a poker shark. In a surprising casting change, Michelle Stafford will be returning to the role of Phyllis Summers on The Young and the Restless. According to Daytime Confidential, Michelle could not reach a contractual agree with General Hospital, where she played the role of Nina Clay. 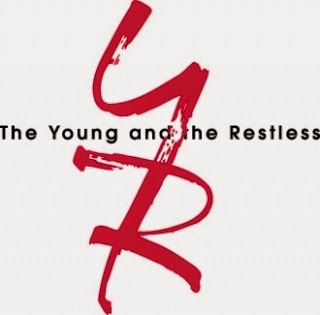 Y&R reportedly jumped at the chance to get her, which left the current "Phyllis." Gina Tognoni out in the cold. Gina Tognoni took over the role of Phyllis from Michelle in 2014. She received an Outstanding Lead Actress Daytime Emmy in 2017. On her Instagram post, Gina graciously thanked Y&R viewers for their love and support. She wrote that she is "beyond grateful for the creative experience that The Young and the Restless has given" her. Gina will surely get other acting roles, but she will be missed by Y&R fans. 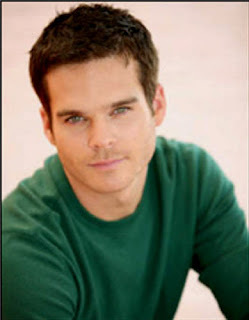 Y&R has confirmed that Greg Rikaart is returning to the role of troubled Kevin Fisher. Greg originated the role of Kevin back in 2003. He received the Daytime Emmy for Outstanding Supporting Actor in 2005. In 2017, however, he was taken off contract. After his departure from Y&R, Greg played Leo Stark on General Hospital for about a year. So, how will Kevin's return to Genoa City affect Y&R's storyline? Well, the details have not been revealed yet, but I expect that his reappearance will be linked to Adam's imminent return. When we last saw Kevin, he had moved to Portland, Oregon with the presumed-dead Chloe Mitchel (Elizabeth Hendrickson) and their daughter, Bella. There is no indication that Elizabeth will also be returning as Chloe. She is currently portraying Margaux Dawson on General Hospital; but with the way Y&R has been snatching actors away from GH, one never knows. Fans, how do feel about the return of Michelle Stafford as Phyllis? I feel ambivalent. I am delighted that Michelle is returning, but I'm sad that her return has necessitated the departure of Gina Tognoni. Gina has been terrific in the role. Let me know what you think by responding to the poll below. Are you pleased that Michelle Stafford is back as Phyllis? Yes, I am please Michelle Stafford is returning, although I will miss Gina Tognoni. It doesn't make much difference to me because I think Michelle and Gina are both good in the role. No, I am not pleased because I prefer Gina Tognoni. That's all for now. Don't forget that the next edition of Y&R Report will appear in this space on April 27, 2019. I'm looking forward to the week of tribute to Kristoff St. John (Neil Winters), beginning on Thursday, April 25 on CBS and Wednesday, April 24 on Global TV in Canada. Thankfully, a new actor will not be taking over the role of Neil. Neil's death will be revealed and a funeral will be held for him on April 25 on CBS and April 24 on Global TV. Kristoff's longtime real life friend, Stan Shaw, will play the pastor presides over Neil's funeral. In 1979, the two starred together in the TV miniseries Roots. The non-scripted tribute episode to Kristoff will take place on Monday, April 29th with Shemar Moore (Malcolm Winters), Victoria Rowell (Drucilla Winters, Mishael Morgan (Hilary Curtis Hamilton, Christel Khalil (Lily Winters Ashby) and Eileen Davidson (Ashley Abbott). To all who celebrate, I wish you a Happy Easter and a Happy Passover. Since it's April Fools' Day, it would be appropriate to remember what CNN has described as "the biggest hoax that any reputable news establishment ever pulled." 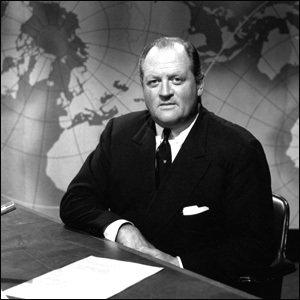 On April 1, 1957, the British Broadcasting Corporation (BBC) broadcast a 3-minute report on its flagship current affairs show, Panorama, narrated by distinguished broadcaster Richard Dimbleby. It featured farmers from the canton of Ticino in southern Switzerland as they harvested spaghetti from a "spaghetti tree." Women were shown picking strands of spaghetti from a tree and laying them in the sun to dry. In 1957, about 44 per cent of the homes in Britain had televisions. Many Britons actually believed the "spaghetti tree" story to be true and Richard Dimbleby's participation in the caper served to add credibility to the hoax. After all, Dimbleby was a respected journalist. He was the BBC's first war correspondent at the outbreak of World War II and its leading news commentator. He was trusted. Keep in mind also that in the 1950s, spaghetti not really a widely-eaten food in the United Kingdom. It was considered an exotic delicacy and many were unaware that it was made from wheat flour and water. That is why so so many Panorama viewers contacted the BBC for advice on growing their own "spaghetti trees." Some inquired as to where they could purchase their own "spaghetti bush." Not everyone was amused by the BBC's April Fools' Day prank. Many criticized the BBC for airing such an item on a factual public affairs show. According to the BBC's report at the time, the "spaghetti tree" stunt was believed to be "one of the first times the medium of television had been used to stage an April Fools' Day hoax. Click on the link below to watch a video of the 1957 BBC April Fools Day hoax.